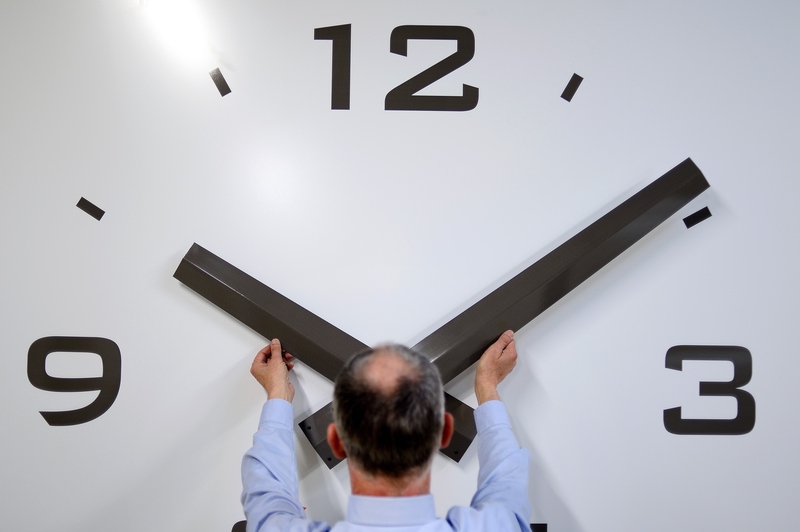 Daylight saving time (DST) comes to an end at a strategic time this year. You can set your clock to "fall back" before you go to sleep on Saturday, Oct. 31, but the time when Daylight Saving ends won't officially happen until early the following morning. If you're feeling adventurous, you could even turn your extra hour of sleep into an extra hour of Halloween. DST, which began at 2 a.m. on Sunday, March 8, will officially end at 2 a.m. on Sunday, Nov. 1. (Technically, the clock moves back at 1:59:59 a.m. to 1:00:00 a.m., so you don't actually reach 2 a.m. until an hour later.) The United States, with the exception of a few areas that don't observe DST, always runs the time change from the second Sunday in March until the first Sunday in November. It just so happens that this year, the first Sunday of November is also the first day of November. The timing comes in handy for those who are planning to go all-out for Halloween. If you're still living it up at 1:59:59, you've just earned yourself an extra hour at the bar. If you're already tucked into bed, you've got another hour to sleep off that hangover the next day. As it turns out, the timing of DST may actually have something to do with Halloween. Before 2007, DST ended on the last Sunday in October every year, meaning that Halloween usually got short-changed with less daylight. Candy retailers reportedly lobbied hard for the government to extend the time change by a week, so that kids would be able to stay out later on Halloween. Essentially, they argued that the shortage of daylight forced kids to leave the streets earlier, thereby causing them to miss out on longer trick-or-treating opportunities. Insiders in the candy industry have disputed this account, but it makes sense that a retailer would lobby for longer daylight. Back in the 1980s, the golf industry lobbied for an extra month of DST, saying that an extra month of extended daylight was worth $200 million in sales of gold clubs and rounds on the course. Similarly, the barbecue industry argued it was worth $100 million in their businesses. Whether it's driven by commercialism or not, this year's end to DST arguably couldn't come at a better time. Here's to Halloween happening on a Saturday night, and the night before the clocks turn back. Also, if you're a fan of facial hair, you've got an extra hour to celebrate the beginning of No Shave November.